This is what happens before, during, and after a chargeback is processed. 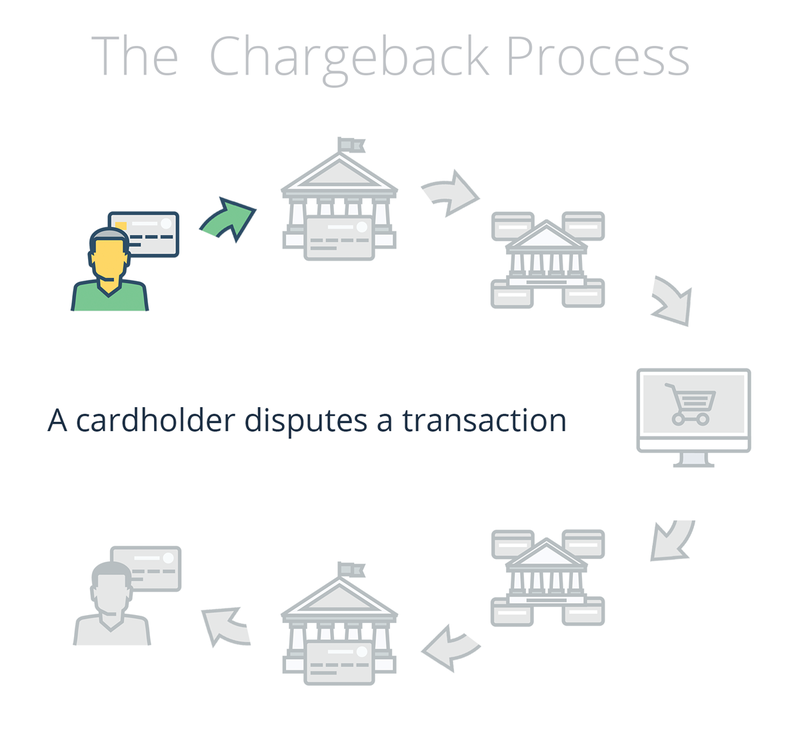 The chargeback dispute process is not straight-forward. It's no wonder we see merchants expressing their frustration about the chargeback process time and time again. That’s why it’s important for companies to be proactive in avoiding disputes and chargebacks in the first place. One of our previous articles explained what a chargeback, or dispute, means. The short answer is that a chargeback is a transaction reversal meant to serve as a form of consumer protection from fraudulent activity committed by both merchants and individuals. It’s also a demand by a credit card provider for a retailer to make good on the loss on a fraudulent or disputed transaction. 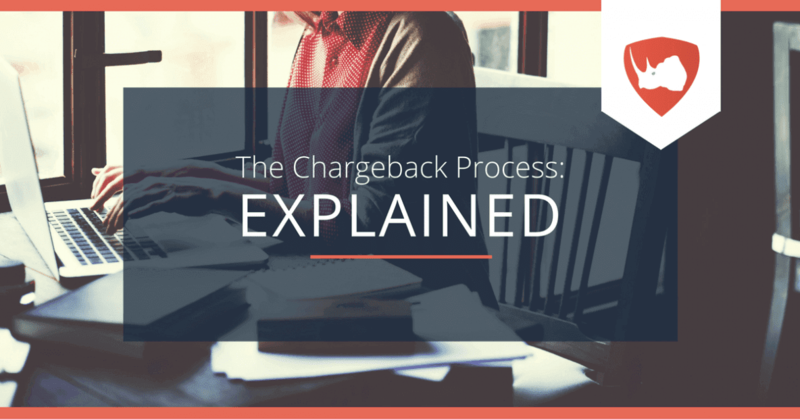 In this post, we dive deeper into the chargeback process and explain what happens before, during and after a chargeback is processed. First, it’s important to know all of the players and their roles within the chargeback process. Buyer: This is the person who first files a retrieval request with their credit card company — they start the whole process with a transaction dispute. Issuer: The bank that the buyer’s credit card is connected to and used to purchase the item or service. Acquirer: A financial institution that obtains the rights to the merchant’s account and tasked with getting payment on the merchant’s behalf. Credit Card Company: The organization that oversees the process. As noted below, some differ in their procedures than others (American Express and Discover). An issuer's initial action will be to submit a retrieval request. This will be submitted to the merchant. But the request starts when the issuer or cardholder disputes a transaction. A retrieval request helps offer the fastest resolution possible. It involves the merchant giving the issuer basic transactional documentation. That will (hopefully) validate or disprove a fraudulent transaction. Again, a cardholder or issuer will start the retrieval request. But it'll be passed to the associated card network. After that, the card network passes it to the acquirer. The acquirer will then notify the merchant of the retrieval request. The goal for retrieval requests is to have all parties avoid the chargeback process. But that doesn't always happen. And all retrieval requests won't develop the same outcome. For instance, there are cases where retrieval requests will not result in chargebacks. The cardholder disputes a transaction by contacting his issuer. These disputes typically fall into three main categories: item not received, item significantly not as described, or unauthorized transaction. The cardholder may enjoy his right to dispute. That’s because zero-fraud liability is guaranteed by each major card network. Basically, card networks protect credit cardholders from all fraud. It doesn’t matter whether fraud was performed by a dishonest merchant or a fraudster. The dispute process can either go quickly or it may take a while. It really depends on the cardholder’s issuing bank. Let's say a cardholder disputes a transaction through an online banking portal. 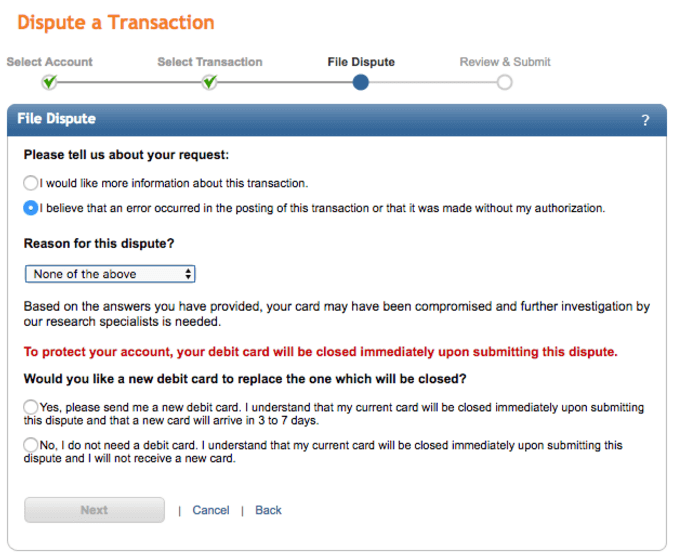 It only takes four steps for PNC cardholders to file a dispute. The cardholders' account will close if there's any indication of compromised account information. They'll receive a new card when that happens. Now let's look at the dispute process within the Capital One online portal. A cardholder will select the transaction that they wish to dispute. Then he'll answer a few more questions. After that, he'll select a reason for the dispute from the drop-down menu. The issuing bank is the “issuer” (i.e. underwriter) of the account. That makes it the financial institution responsible for disbursing funds from the cardholder to the merchant. But that's not its only responsibility. The issuer is also responsible for managing the customer’s balance and authorizing charges. Invalid chargeback: The issuer views the dispute as invalid. The transactional data may have shown that there was no fraudulent activity. The chargeback process will end here, and the cardholder will be notified of the decision. 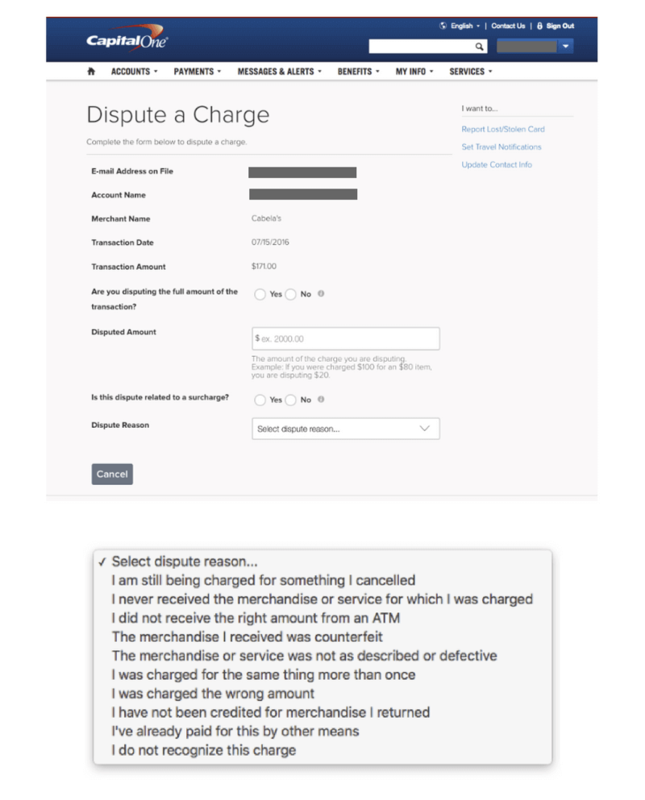 Valid chargeback: The dispute is determined to be valid, or at least worthy of further investigation. The cardholder's claim may have been legitimate. The transactional data may have shown signs of fraudulent activity. The chargeback process will continue to the next step. An immediate credit is provided to the customer for the disputed amount. That's the next step once the issuer processes a valid chargeback. Now, the card networks will flow funds from the merchant’s commercial bank account to the issuing bank. These networks provide the data connection to flow the funds via FedWire between cardholders and merchants. The issuer will submit the chargeback to the card network after reimbursement. Afterwards, the card network passes the chargeback to the acquirer. The hand-off process is different for American Express and Discover. These card networks are both issuers and acquirers. They'll have a more streamlined process to exchange information. However, that forces American Express and Discover to serve both of their clients' interest. Who shall they choose? The cardholder or the merchant? This step may seem superfluous. But it highlights a very important subject in the chargeback process: incurred fees. And the merchant will be the one to paying them. But not at first. Payment processors first tack on chargeback fees. But its payment came from the acquirer's funds. The acquirer will settle the funds collected from their processing fees, network fees, and interchange fees. But the merchant will end up reimbursing the acquirer. But not directly. The acquirer will receive the issuer's funds on the merchant's behalf. It's responsible for ‘acquiring’ authorization through the card network. The merchant will know about the chargeback after the card network informs the acquirer. The dispute will be sent to the merchant account processor online portal. It can be also it sent by physical mail. Usually, the notification contains instructions on how to respond to the dispute. These instructions are a call-to-action for the merchant to gather and submit compelling evidence. Compelling evidence is data that is relevant to the chargeback reason code. The code itself categorizes the cardholder’s dispute. They're not sure what a chargeback is. They may not even know how to frame their dispute response. But here's one resource they can use. They believe fraud and authorization chargebacks coded represent lost revenue. They assume that the battle is always over. But we have an encyclopedia to help them with the struggle. The chargeback represents minimal transactional value. It may not be worth the fight. 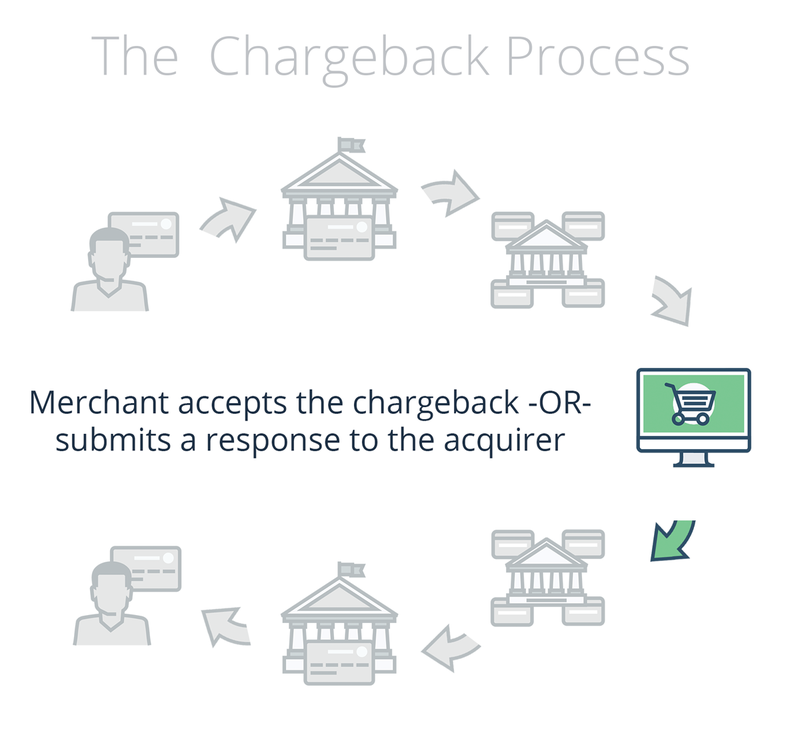 The chargeback process comes to an end if the merchant doesn't submit a response. Afterwards, the card network awards the chargeback to the cardholder, and he retains the refunded amount. But the merchant ends up with revenue loss. And they may have lost additional money from acquisition costs. The chargebacks fees are just an additional thorn in this scenario. Let's say the merchant is does aggregate compelling evidence. Then what? Now she must create a processor-specific response letter. The response letter specifically speaks to the chargeback reason code. Its format will vary. But it's formatted to the preferences of the payment service provider that is requesting the information. The merchant will then submit the chargeback response letter to the acquirer. It'll be sent through merchant account processor. 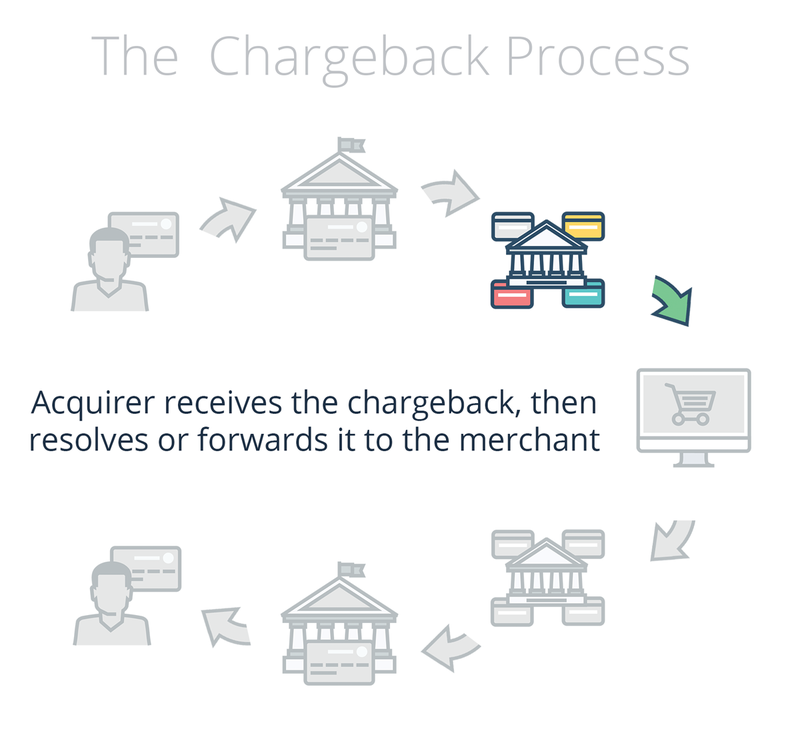 Now, we reach the 'hand-off' stages of the chargeback process. The acquirer receives the merchant’s compelling evidence from the merchant account processor. They'll pass this along to the card network, which will be sent it to the issuer. The information exchange may be different with American Express and Discover. 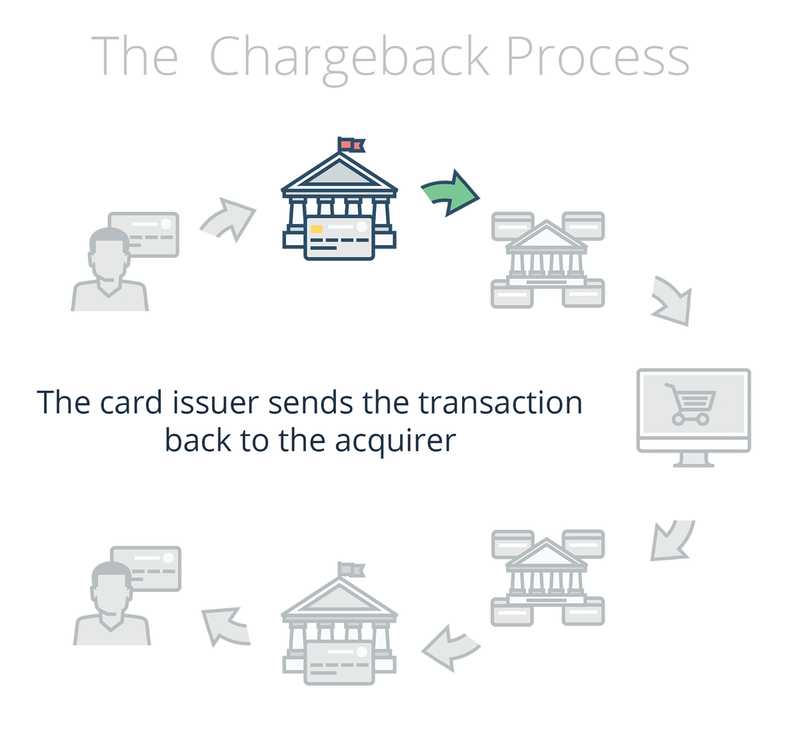 Finally, we're near the end of the chargeback process. The issuer reviews the chargeback claim and the merchant's compelling evidence. Each card network requires specific information to prove or disprove a dispute. The required information is typically listed in the network’s rules and regulations. Congratulations! The compelling evidence has disproved the cardholder’s dispute. 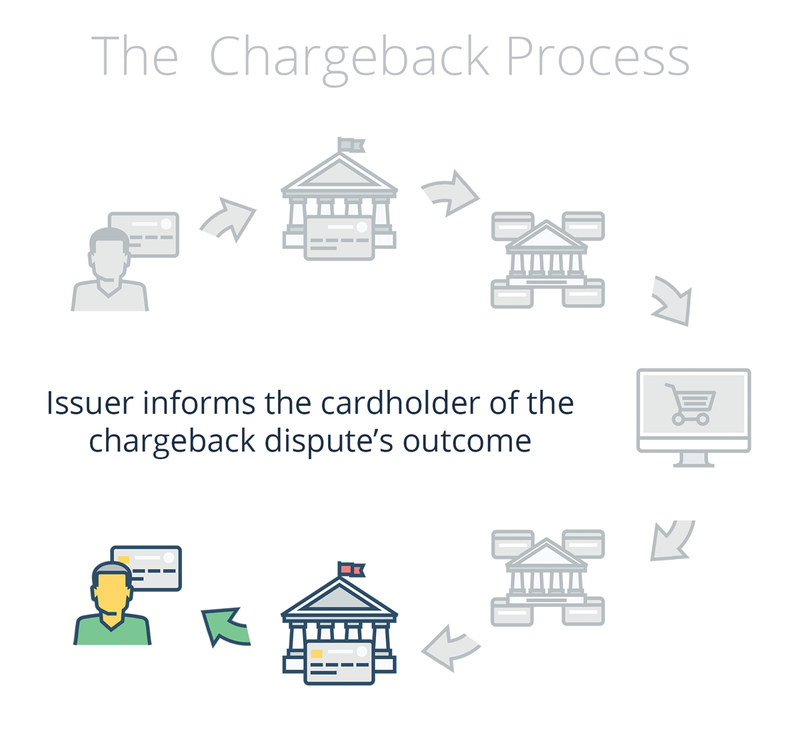 The issuer will decline the chargeback and inform the cardholder. Afterwards, the card network pulls the funds from the issuer and send it to the acquirer. The acquirer will then place it back into the merchant commercial bank account. That's a shame. The compelling evidence did not disprove the dispute. The issuer upholds the chargeback and the cardholder will keep the refund. A merchant may win with compelling evidence But that doesn't mean the cardholder won't dispute the outcome. The aftermath takes on various names depending on the card network. Visa will call this pre-arbitration while MasterCard calls it a 2nd chargeback. 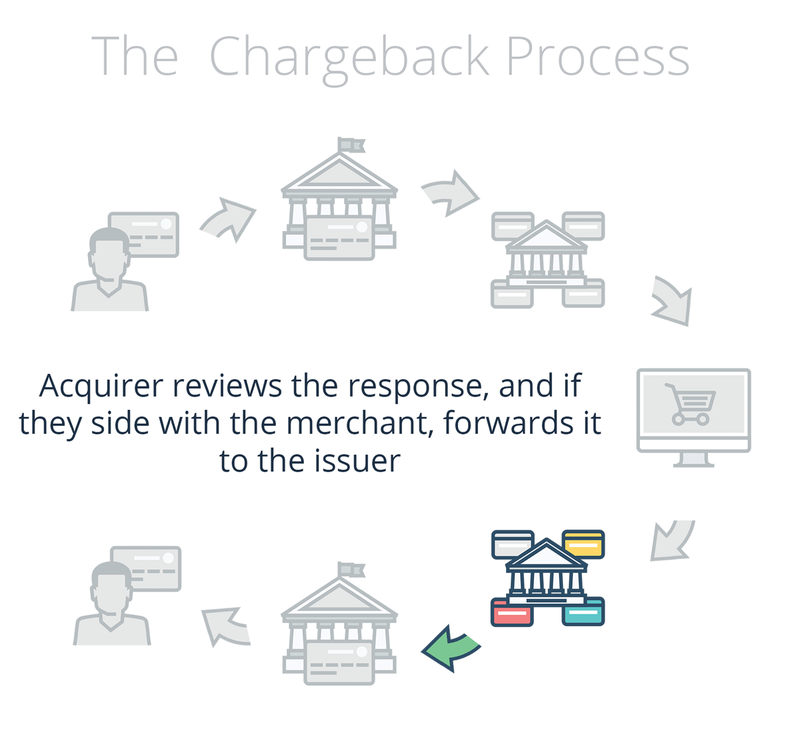 The chargeback process will start over at Step One, where another chargeback is filed. The issuer decides whether to rule in favor of the merchant or the cardholder. Great! The merchant wins again. But the cardholder is still determined to receive a chargeback. Or the issuer may want to challenge the outcome. This will bring us to arbitration. The merchant will be automatically charged with a $250 fee. The issuer will return the money if the merchant wins. But if the merchant loses, she'll lose $250 and pay additional fees in the process. Arbitration is similar to a court trial. The card network acts as the judge, while the cardholder is the plaintiff and the merchant is the defendant. The purpose of an arbitration is for both the merchants and cardholders to take a final stand on whether a chargeback or a chargeback reversal should be overturned. Although arbitration chargeback is relatively similar across all card networks, depending on the credit card company, you’ll have a specific time frame to take action. However, it’s important to note that each card company will have its own terminology in its own process. The best solution in avoiding an arbitration, like we mentioned at the beginning of this article, is to prevent disputes from being filed in the first place. Lastly, the arbitration does extend the timeframe of the chargeback process. The chargeback process can last from one month to six months. It depends on the chargeback reason code associated to the dispute. But cardholders and merchants have different time limits. Here's what you need to know about the chargeback time limits that involve MasterCard and Visa transactions. As you can see from reading this article, the process has a very human element to it, meaning that every case is different and subjective. Those involved in the chargeback process may have very different interpretations of the dispute and thus produce different outcomes depending on the evidence. In most cases cardholders have a distinct advantage over merchants, as credit card companies and banks assume the mantra, “the customer is always right.” Because of this, it’s easier for the cardholder to scam the system with friendly fraud. It also helps that the chargeback process hasn’t evolved over the years to address the modern disputes and chargebacks that come from online shopping. Have your evidence readily available. No matter where you are in the chargeback process, you’ll need to have compelling evidence if you want to fight the dispute. Having the evidence saved to a folder on your computer or within a database that is easily accessible can help save you a lot of frustration. Especially if the process leads you to an arbitration, you’ll be glad to have your evidence handy. When the cardholder disputes a transaction, the time to act is now! Be attentive when disputes and chargebacks arise and quickly respond when the retrieval requests come in. If you don’t respond within the allotted time frame, banks will automatically process a chargeback. If you’re new to the chargeback process, now is the time to create a plan and course of action to follow when the next one comes — which will help you become more proactive. Looking for more help in chargeback disputes and how to handle chargebacks in general? From lowering the dispute ratio to saving you time and eliminating frustration, see how Chargeback’s automated dispute management platform can help your business today. Click here to learn more and stop potential chargebacks from happening.